Award season is approaching and in the past week we’ve been thrilled to receive a flurry of nominations for our work – along with individual recognition for our talented staff. First up was a nomination in the British Interactive Media Association (BIMA) Consumer Services category for our work on haart’s website. The new design and build has brought the estate agency’s expansive digital presence all on to one responsive platform with great results. Since spring 2016, online valuations are up by 124%, while unique mobile visitors have increased by 185%. The competition is fierce with brands such as Greyhound, RBS and TSB also nominated in the category. The announcement of the Wirehive 100 shortlist brought great news that we’d been put forward for four awards. The first is in the Most Respected category – a peer-nominated award that means other agencies have been impressed by our work over the last year. The winner will be decided by a public vote of the five most-nominated agencies. Our collaboration with Cancer Research UK, Surround Vision and Vitae VR saw us receive a nomination for Digital Innovation. The 360-degree virtual reality video tour offers an immersive viewing experience where users can see the life-saving research that goes on in the labs. Our Executive Creative Director, Damian Proctor, has been shortlisted in the Creative of the Year category. Guiding our Design, User Experience and Front End Development teams to deliver innovative solutions, Damian has produced work for clients such as Cancer Research UK, Organix, The Science Museum, Channel 4 to name a few. Brandon Hawkes, our Creative Technologist, is also up for Techie of the Year. Always at the forefront of new technology, he has worked on a plethora of exciting projects that help solve problems with digital solutions. You can view all the finalists and see who we’re up against on the Wirehive 100 website. We’ve also received nominations for Best Large Agency in the UK Agency Awards 2016 and Agency of the Year at The Drum Awards for the Digital Industries (DADI) against some tough competition from agencies across the UK. 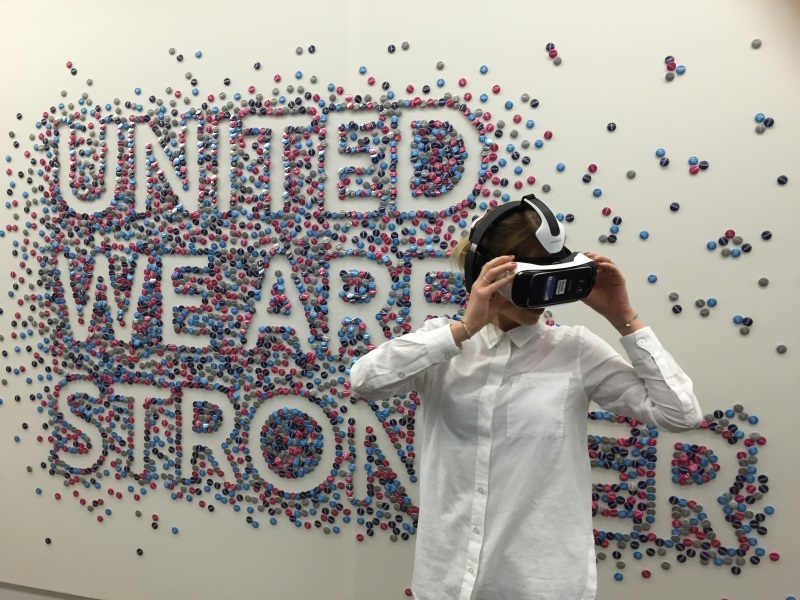 Our virtual reality video for Cancer Research UK is also up for a DADI in the Best Use of VR category. We’ll have to hold out until September to find out who wins at the UK Agency and BIMA Awards, and October for the DADI Awards. 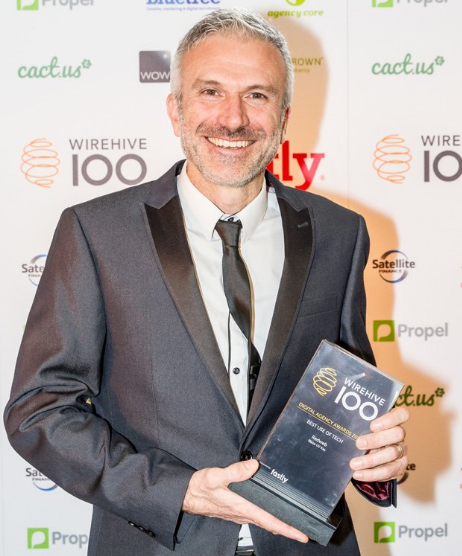 The winners for the Wirehive 100 Awards will be announced on 13th October 2016 at Mercedes Benz World in Weybridge – we’ll find out then if we’ve managed to hold on to our top spot in the league table.